Sometimes being a bookseller has special perks. 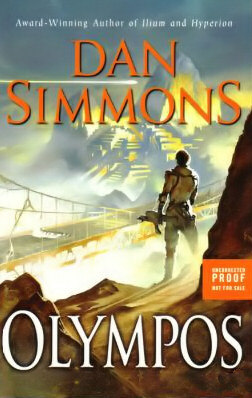 Today’s perk is an uncorrected proof for OLYMPOS by Dan Simmons. Thank you HarperCollins! This book won’t be out until July, so that’s one long wait off my list. Not sure when the signed limited edition will be out from Subterranean Press, but I’ll be adding one of those to my collection too. I’ll take it. Just box it up and mail it out.